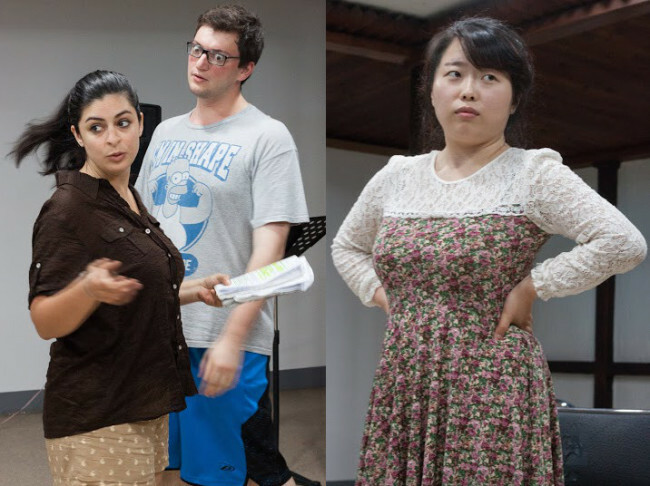 The Gwangju Performance Project will begin staging their summer production of Neil Simon’s “Rumors” next weekend. The farcical comedy explores the chaos unleashed after the Deputy Mayor attempts to shoot himself minutes before his 10th wedding anniversary dinner. The play will be the first staged by the Gwangju Performance Project since its original founders left Korea earlier this year, passing the company into the hands of current president Anna Volle. According Volle, who will also direct the show, “Rumors” was chosen for the new company’s premiere performance because of its broad appeal. Although originally staged in 1988, Volle believes that the play’s satire of the well-to-do will resonate with modern audiences who are increasingly aware of wealth inequality. However, more than anything else Volle hopes that the show will tickle theatergoers’ funny bones. “They’ll laugh and they’ll cry, but they’ll only cry because they’re laughing so hard. It’s the sort of play that leaves you actually feeling sore, like you’ve done a bunch of sit-ups,” she said. Volle and company won’t be trying anything too daring with their adaptation, but she says that innovation is hardly necessary with such off-the-wall source material. Instead, GPP are attempting to expand the scope of their production by booking a larger theater and staging more performances than they have in the past. The theater company has also worked hard to appeal to local audiences by employing Korean subtitles for the first time, meaning Koreans in the audience will never miss a joke. The play will also be the company’s first to feature a Korean actor in a lead role. Performances take place on July 12 at 7 p.m., July 13 at 3 p.m., July 19 at 2 p.m. and 7 p.m., and July 20 at 3 p.m. All performances are at the Gwangju Contents Industry Support Center Theater located next to the GFN Radio Station building in Sajik Park. Tickets are 10,000 won and can be reserved by contacting gpptickets@gmail.com.